Iran’s Supreme Leader identified the new Iranian year as the year of Iranian Products putting out a symbolic call to the public to direct their purchasing power to the domestic market. A recent report indicates that Iranians prefer domestic food products; however, turn to foreign good when buying manufactured products. 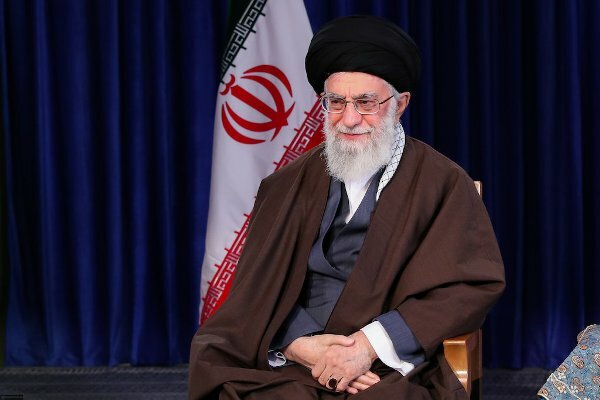 Ayatollah Khamenei’s message comes at a time when the country’s manufacturing sector is ailing with numerous factory shutdowns and layoffs which been cause of widespread labor protests across the country. Ayatollah Khamenei’s message has been echoed by two senior clerics, Ayatollah Makarem Shirazi and Nouri Hamedani. There is, however, no word of how Ayatollah Makarem Shirazi who is known for his sugar import business, single-handedly brought the country’s sugar production to the verge of bankruptcy in 2006 and used his influence over Mahmoud Ahmadinejad during his presidency, to prevent the government from providing subsidies to sugar factories. This led to widespread layoffs in sugar manufacturing plants across the country. In recent years we have witnessed the shutdown of many Iranian companies such as Daroogar, Iran’s first manufacturer of home appliances, Pars Chrome Khazar factory, which supplies raw materials for leather production, Varamin Sugar Factory, Qoo Vegetable Oil factory, Sahand Steel, Zagros Autos, Iran Wood and over 17 tile, ceramics and textile factories. Low-quality products had made these factories dependent on government subsidies to survive and maintain unsustainable jobs. Statistics reveal that one million individuals have lost their jobs as a result of the factory shutdowns in the past four years. A spokesman for Iran’s Chamber of Commerce has been quoted as saying by ISNA that domestic products and industries lack up-to-date technology and therefore cannot compete with foreign products, especially in the home appliance sector. Iranian products have seen a sharp fall in quality which have lost status in the Persian Gulf and other neighboring markets. Meanwhile, none of the policies put in place by the government has managed to breathe any life into the manufacturing sector. In his New Year speech, Ayatollah Khamenei recommended policies aimed at increasing the fertility rate, tapping into undeveloped potentialities and supporting domestic products. Iran’s Supreme Leader did not mention the rising bankruptcy of the country’s financial companies and major industries, widespread unemployment, the decline in the quality of higher education system and the brain drain or the myriad of environmental problems faced by the country which means he has either completely lost touch with reality or is trying to dispel all thought of crises from his supporters. Like all government economic policies to date, this too shall become an avenue for the in-circle of the Islamic Republic regime to secure credit from the country’s coffers to purportedly produce Iranian goods; it will just line the pockets of those select few rather than boost the economy.